During the weeks before Christmas, the smell of baking cookies wafts through most houses, there are cookie exchange parties and lots of treats in offices. Even families that hardly ever bake during the rest of the year, find themselves congregating in the kitchen and pulling out the butter, flour and eggs. We’ve all seen the sappy commercials and cheesy Christmas movies with a grandma in the kitchen baking with her grandkids and all the other similar scenes. It’s so predictable, but gives you a cozy, warm feeling anyway:). I’m such a sucker for corny things like that. We always baked many, many Christmas cookies in our family and would give them away and munch on them ourselves all Christmas season. There are some cookies that we only bake around the holidays, but there are others that we make over and over again all year long. This recipe was given to me by my cousin, Veronika. She and I were best friends growing up. We had so much in common and cooking and baking was one of them. Unfortunately, their family moved to Minnesota when we were still small, so I was devastated that my kindred spirit was miles away. Anyway, one Thanksgiving a few years ago, we had a family reunion in Minnesota and while we were there, Veronika made a batch of these cookies. I knew I needed to have the recipe as soon as I put one in my mouth. Ever since then, this has been a favorite to make all year long. Since then, I have found out that this is a very popular recipe all over the country. Taste of Home has the same recipe on their website, and there are many other versions of these cookies. 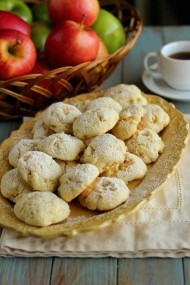 They are the best tender, buttery cookies and take only minutes to make. Thanks for the great recipe, Veronika! Preheat the oven to 350 degrees Fahrenheit. 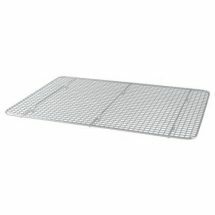 Line a cookie sheet with parchment paper for easier cleanup later, or you can just use an ungreased cookie sheet. 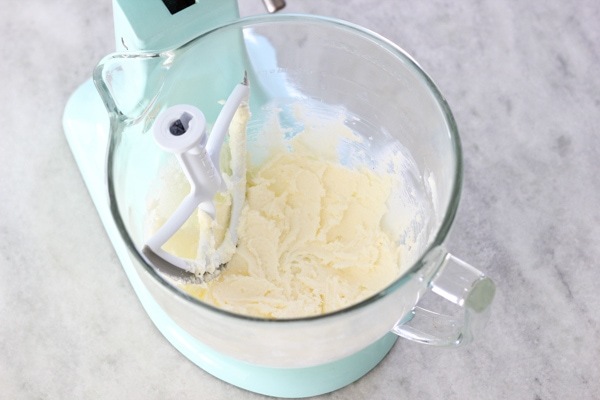 Cream the butter and sugar together in a large bowl until light and fluffy using a standing mixer with a paddle attachment or a hand mixer. 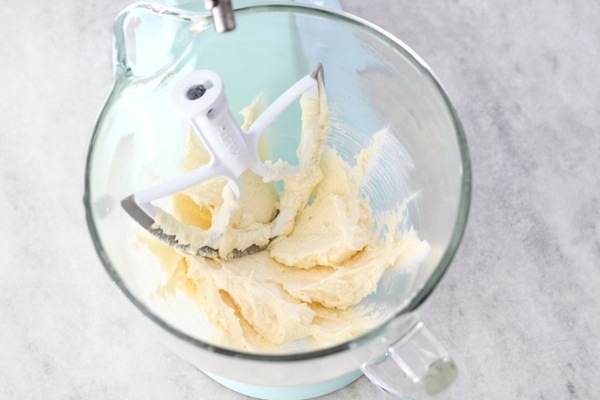 You can even make this batter by hand, but you will have to beat it for a long time. Add the egg and vanilla. Mix to combine. 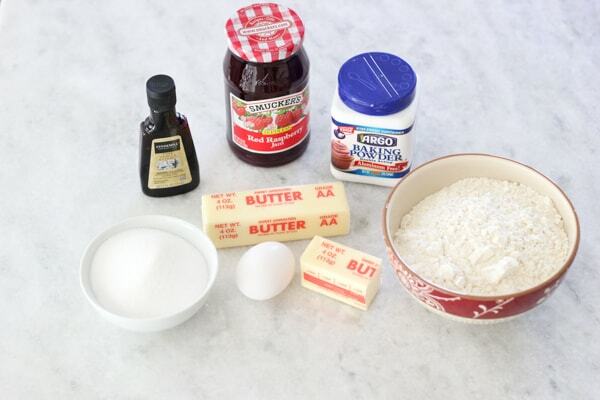 In a medium bowl, mix the flour, baking powder and salt. Add to the butter mixture and mix just until combined. Do not over mix. Divide the batter into 4 pieces. 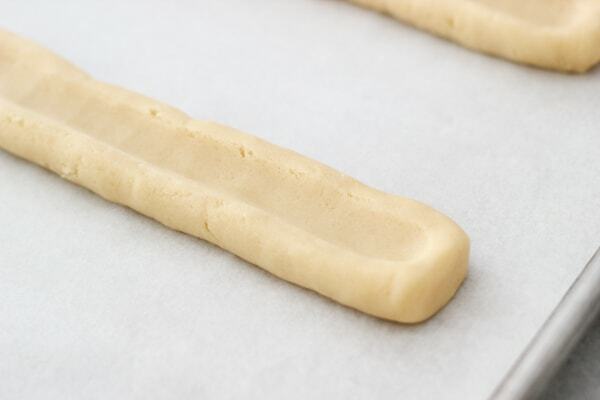 On a lightly floured surface, or right on the cookie sheet, shape each piece of dough into a 12 inches x 3/4 inch log. Make an indentation in the center of each log, using your finger or the back of a wooden spoon. 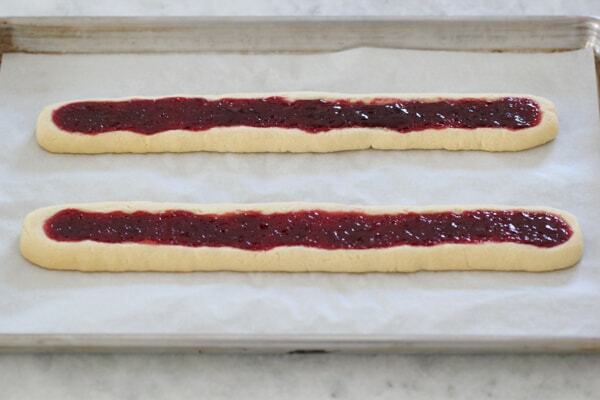 Fill the center of each log with about 2 Tablespoons of jam. I usually use seedless raspberry jam, but any jam will work in this recipe. Bake in the preheated oven for 15-20 minutes, just until the edges are lightly golden. 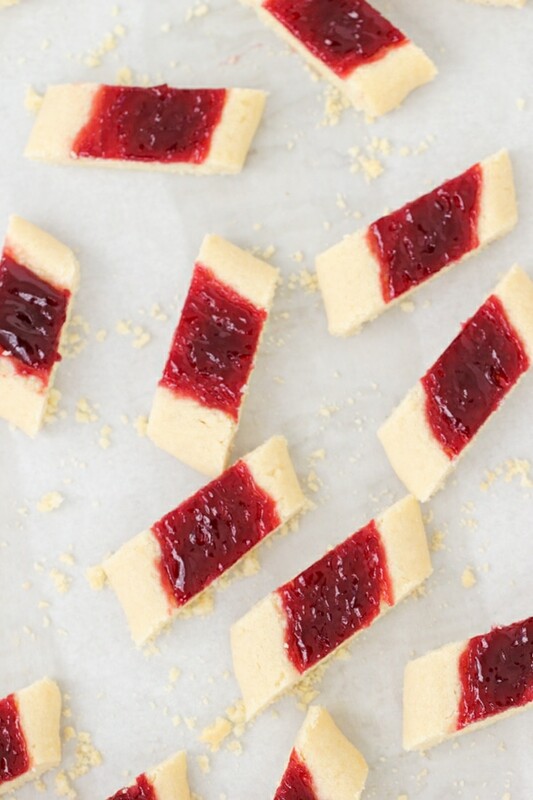 Cool the cookies and then cut them on a diagonal into 3/4 inch pieces. You will have 55-65 cookies. 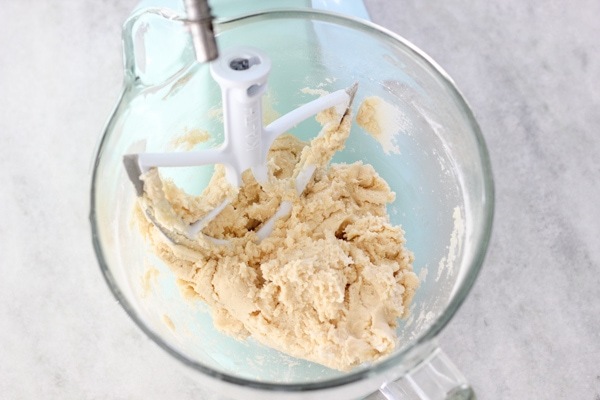 Divide the batter into 4 pieces. 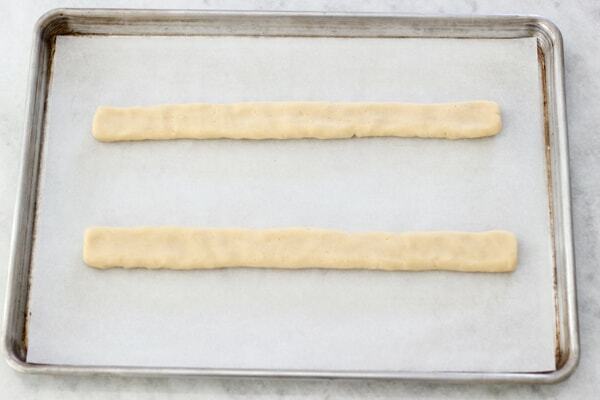 On a lightly floured surface, or right on the cookie sheet, shape each piece of dough into a 12 inches x ¾ inch log. Make an indentation in the center of each log. 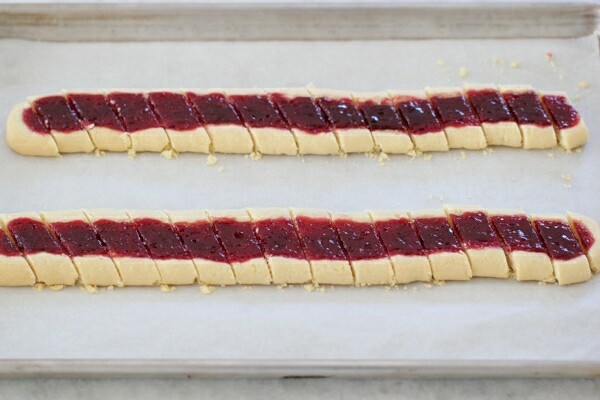 Fill the center of each log with about 2 Tablespoons of jam. I usually use seedless raspberry jam, but any jam will work in this recipe. 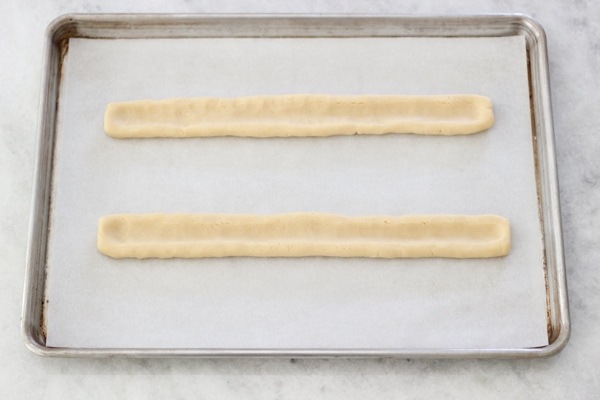 Bake in the preheated oven for 15-20 minutes, just until the edges are lightly golden. 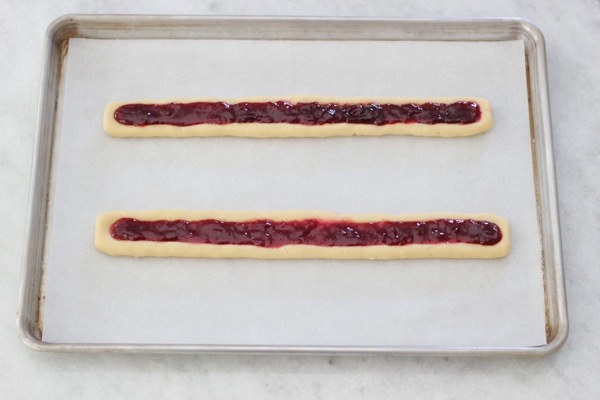 Cool the cookies for about 10 minutes and then cut them on a diagonal into ¾ inch pieces. 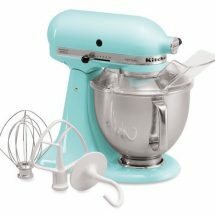 Marina |Let the Baking Begin! It probably is:). I love the simple taste. Awww! I know the feeling, Julia:). I hate when I want to bake something and we don’t have an ingredient! Ha ha. Made these tonight. Perfect for a last minute company! For people that do not like too sweet, can use red currant jam. Thank you, Olga, for the recipe! I’ve made them for unexpected company many times:). I’m so glad you liked these cookies, Lesya. I love red currant jam too. I made these last night and they turned out amazing 🙂 so soft and buttery.. Goes along perfect with some hot tea!! Yes! 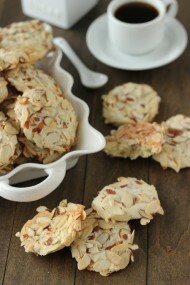 Hot tea is awesome with these simple little cookies. I’m glad you liked them, Yana. I’ve used the cookie recipe for other treats as well. It’s very versatile:). 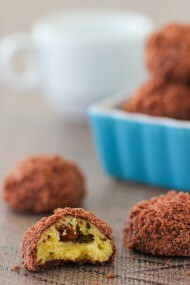 Oh my these look so delicious, I want them now…lol too bad its time for bed so they’ll have to wait for tomorrow :(. Hah thanks so much Olga. I have the same problem – I usually start looking at gorgeous pictures of yummy food at night and then start craving it:). I hope you enjoy the cookies, Marina. Ha ha! They are sure addicting. Once you eat one, it’s hard not to reach for another…. and another…. and another. Yum! These cookies are amazing. You’re welcome:). 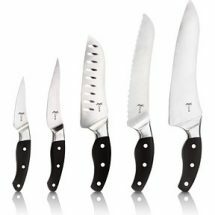 I know how much you like these. Dark chocolate sounds delicious with these cookies, Liz! I’ll have to try that next time. Just wanted to stop by and tell you that these cookies are amazing. I baked them a couple hours ago and my husband and I are enjoying them with a cup of tea. I’ve been using your website for a year now and everything that I make is delicious! I made the volcano cake for Christmas and couldn’t @stop eating it:) thank you for everything! You are amazing and blessings through the rest of your pregnancy! That’s awesome, Ilona. Thanks for taking the time to let me know. I’m so glad you are enjoying the recipes. The smell of homemade sweets is the best aromatherapy:). Oh they absolutely delicious! Thank you so much Olga! Was wondering for the next time I make them….to make double batch and freeze unbaked cookies. So it’s even easier haha . Have you tried that method? Did it work? I think it would work, Olga. I’ve never done it myself with these particular cookies, but I have frozen many other cookie doughs with great success. 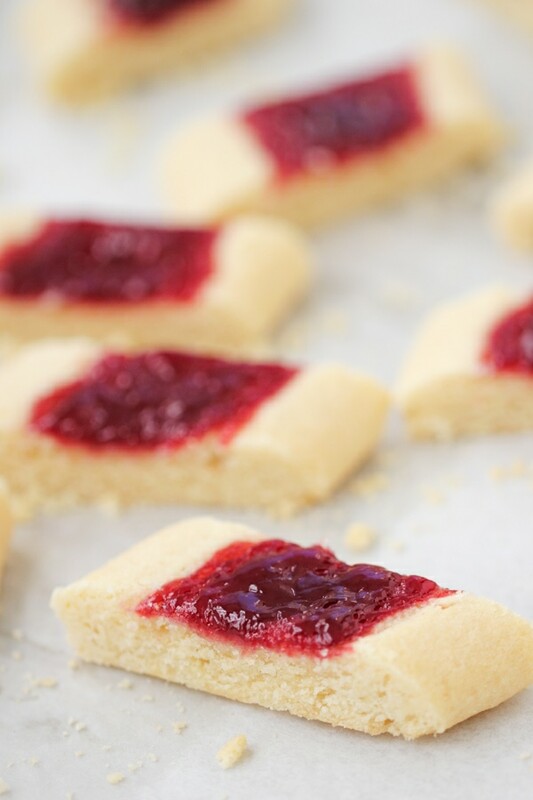 That’s a lot of delicious jam combinations, Tzivia:). I’m happy that you enjoyed the cookies.